Make the transition from from water to land as seamless as possible in the Sunkosi 2 shoe from Teva that provides traction, support, drainage, and breathability. Splash through streams and dive into lakes, and when it's time to run on the other side, don't worry, the midsole drainage ports allow water to exit the shoe and the mesh uppers allow air to enter and facilitate speedier drying. CLOSEOUTS . Sunkosi 2 amphibious shoes from Teva are probably more water ready than you are! 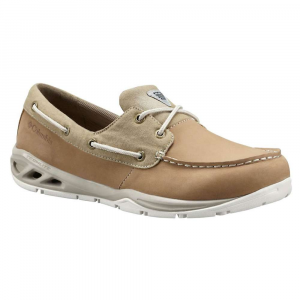 Their fully draining midsole-outsole design allows water to escape immediately, and the durable, quick-pull lacing upper keeps feet protected and secure. Breathable mesh upper with welded TPU support structure Midsole and outsole drainage ports allow water to escape Quick-pull lacing system Spider Rubber(R) outsole Medium width Made in China. Visit our Shoe Sizing Guide Available Colors: GUNMETAL, STONE GREY. Sizes: 7, 7.5, 8.5, 9, 9.5, 10, 10.5, 11, 11.5, 12, 13, 14. Covering ground in water or on the trail, Teva Sunkosi 2 shoes offer traction and quick-draining performance, a must for amphibious adventures! Nylon mesh uppers let water flow freely from shoes and dry quickly for comfort in varied elements; thermoplastic urethane overlays offer support. Drainage system in uppers allows excess water to escape in all directions for enhanced comfort and performance. Durable pull cord allows quick adjustment and easy entry and exit; special pocket at top of tongue stows laces and lace locks. Wraptor(TM) Fit technology snugs securely across insteps while pulling webbing in at heels and arches for a supportive, static fit even when wet. Polyester mesh linings help protect bare feet from pressure and abrasion and dry quickly. 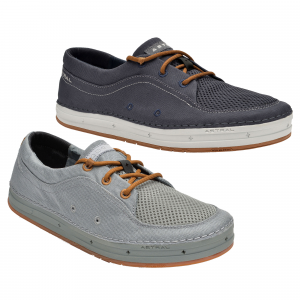 Drain-Frame molded EVA insoles add cushioning; perforations allow water to escape so feet don't have to swim. 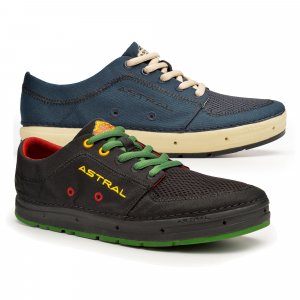 EVA and polyurethane midsoles absorb shock and transfer it for enhanced push-off energy. Nonmarking Spider Rubber(R) outsoles deliver grippy traction on a variety of surfaces, especially in wet environments. Outsoles feature mesh drainage ports for full water expulsion. When summer days are full of water fun, the Teva Sunkosi Water Shoe for Women is the versatile water shoe you can rely on. A high performance water shoe, the Sunkosi features a mono-sock upper construction for a glove like fit. Built with an EVA midsole delivering comfort, stability, and protection, the Sunkosi has a Spider Rubber outsole providing excellent traction on wet, slippery rocks as well as dry land. 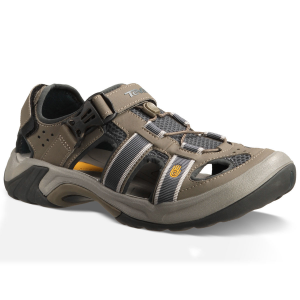 Easy to slip into with a Quick Pull lacing system, the Sunkosi Water Shoes are the excellent answer to the water shoe/sandal question. 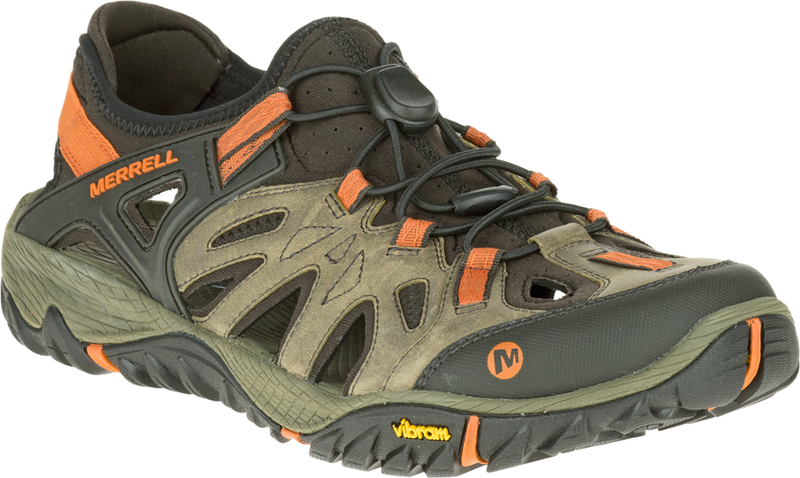 The Teva Men's Sunkosi Shoes let you run up your favorite mountain trail without hopping over streams or slowing down to step on stones. The patent-pending drain technology lets water escape and air flow in freely. To make these amphibious shoes, Teva took quick-drying uppers and integrated them with high-friction Spider Rubber outsoles using their patented Wraptor Fit System, which wraps all the way around the foot through a unique channel in the midsole. A series of drainage ports with mesh screens inside the Sunkosi Shoes let water escape through the bottom of the shoe while denying access to debris. The EVA midsole provides cushioning and shock absorption, and a durable pull-cord lets you make lightning fast fit-adjustments on the trail. The Sunkosi 2 has been discontinued. 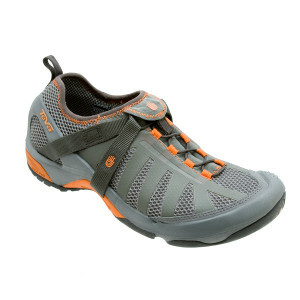 The Teva Sunkosi 2 is not available from the stores we monitor. It was last seen January 15, 2013	at Mountain Gear.